Serpentine Gallery is now becoming a kind of cultural campus right in the heart of London with the opening of the Sackler Gallery designed by Zaha Hadid Architects. The newly converted exhibition space occupies a gunpowder house in the Royal Parks, with an extension for the restaurant and social events, which could easily be mistaken for a temporary pavilion, but is in fact Hadid’s first permanent building in central London. There is a great fusion of styles between the neo-classical brick building with Doric columns and the extension’s 70s inspired futuristic curvilinear volume. Its wave-like ceiling is constructed of a fibre glass material which has been engineered to connect as support between the elements. This structural expertise is based on the parametric system, an architectural style, where forms are generated through a computational process. 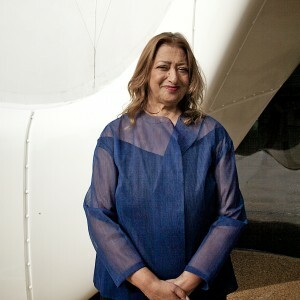 Parametricism as a stylistic movement has been defined by Patrik Schumacher, Hadid’s close collaborator for the past 25 years and co-director of the practice. The landscape surrounding the gallery is designed by Arabella Lennox-Boyd, echoing the architectural forms of the extension. The composition with old architecture and the new avant-garde forms is a great showcase of parametric styles being integrated into historic sites. On this spectacular site at the bend of the West Carriage Drive it all works so well. But of course, the starting point in the middle of one of the best kept parks in the world has no comparison.